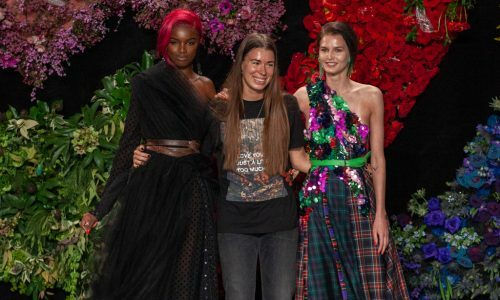 Husband and wife duo Nicole and Michael Colovos presented a fall runway show based around the idea of the matriarch and how she finds her power in her vulnerability. There was a clear mixture of the hard and soft in the clothing. Brightly coloured nylon pants and jackets contrasted with soft slip dresses embellished with lace playing up the duality of feminine softness and strength. To illustrate the idea of vulnerability, well-tailored pieces that the brand is known for had exterior seams finished by hand, quite literally showing what’s inside. 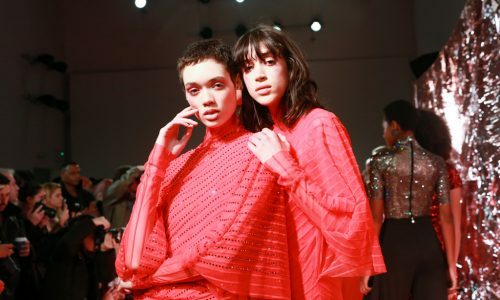 In a nod to mother earth, the brand has stopped using animal products and has sourced vegan fur, skins, and leathers as a stylish alternative. The faux furs and wools added to the feeling of protection and warmth associated with maternal energy. Additionally, the team used a fabric made from recycled bottles that were pulled from the ocean creating a textile that reduces the fabric’s impact on the environment by 95% which is quite remarkable. 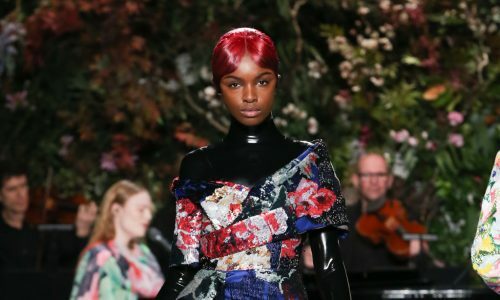 While there were clearly some high-level concepts behind the show, it didn’t take away from the actual wearability of the garments. 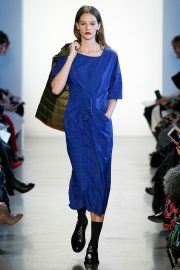 Unsurprisingly, since their first label was Habitual, there was a good deal of denim done in interesting silhouettes. 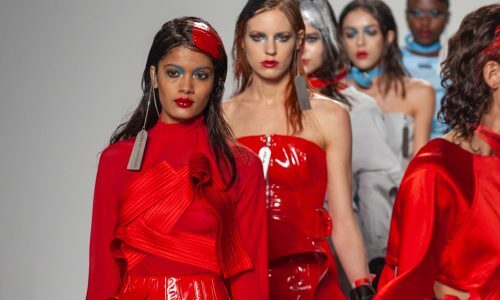 There was also a sort of grown-up grunge look to some of the outfits that felt like a more refined and desirable take on the 90s themes that have been running through collections for the past few seasons. The styling for the show was kept incredibly minimal. 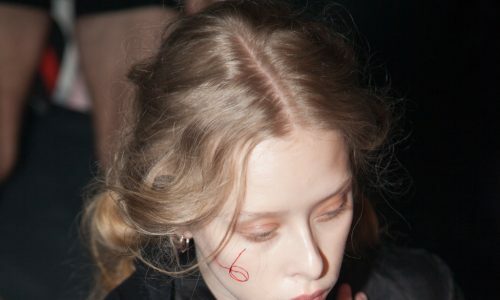 Models had nearly bare faces accented by lips with high-sheen clear gloss and the hair was slicked into sleek low ponytails. Hoop earrings of varying sizes and the occasional plain thin necklace were the only jewellery on display. 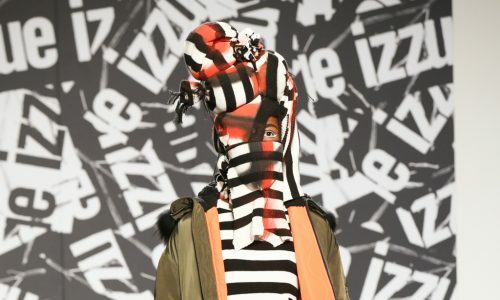 It effectively played up a bit of the street style vibe of the show as well as keeping the focus primarily on the clothing itself. It is exciting to see a brand that has a clear identity not only in their aesthetic but also in their values. Creating clothing that hits the fashion mark while also taking into account that the need to look at sustainability truly makes Colovos a modern brand. Hopefully, this season sets the tone for more to come from them.